Classic motorcycles on TV cookery shows - which is your favourite? Classic motorcycles on TV cookery shows – which is your favourite? Viewers have a taste for classic motorcycles on TV cookery shows. It may not seem a conventional match, but many celebrity chefs reckon a sparkling motorcycle is an essential ingredient of their cookery show. Bikesure, the freethinking motorcycle insurance broker, takes a closer look at this intriguing combination and more importantly, the bikes those TV chefs like to ride. The Two Fat Ladies, starring Clarissa Dickson Wright and Jennifer Paterson, was one of the first shows to successfully feature classic motorcycles on TV cookery shows. 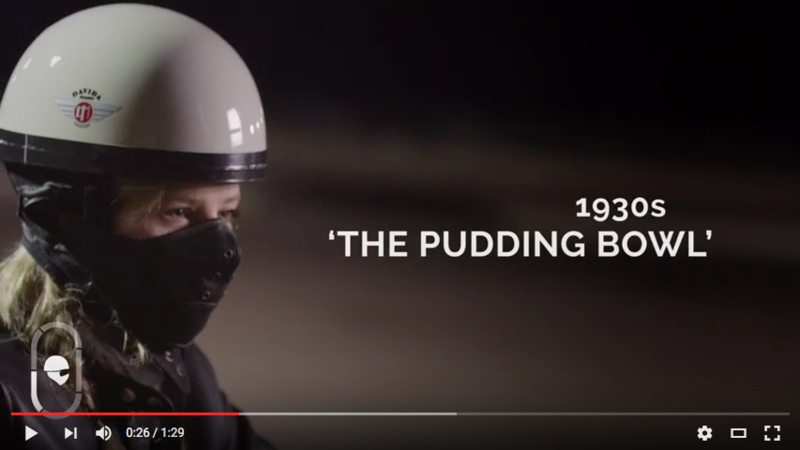 They set the trend by blending haute cuisine and wind-in-the-face horsepower. Their show ran from 1996-1999, with four six-episode seasons. As the title suggests, their recipes were not for dieters, more often than not oozing in butter, lard and dripping. Still, they consistently used high quality, fresh ingredients, promoting the pleasures of cooking and eating good food. The ladies filmed in various locations and drove between them on a tasty Triumph Thunderbird motorcycle with a sidecar. 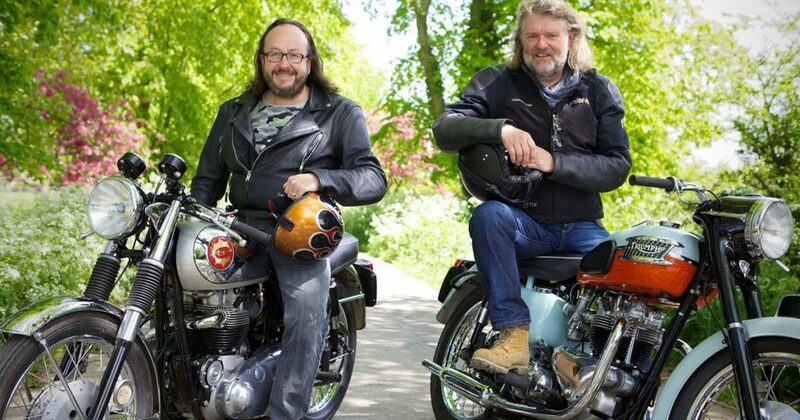 Following in their tracks, the Hairy Bikers have been very successful, with popular shows such as Meals on Wheels and the Hairy Bikers Food Tour of Britain. The Hairy Biker’s official site has regular updates and newsfeeds and an extensive recipes section. 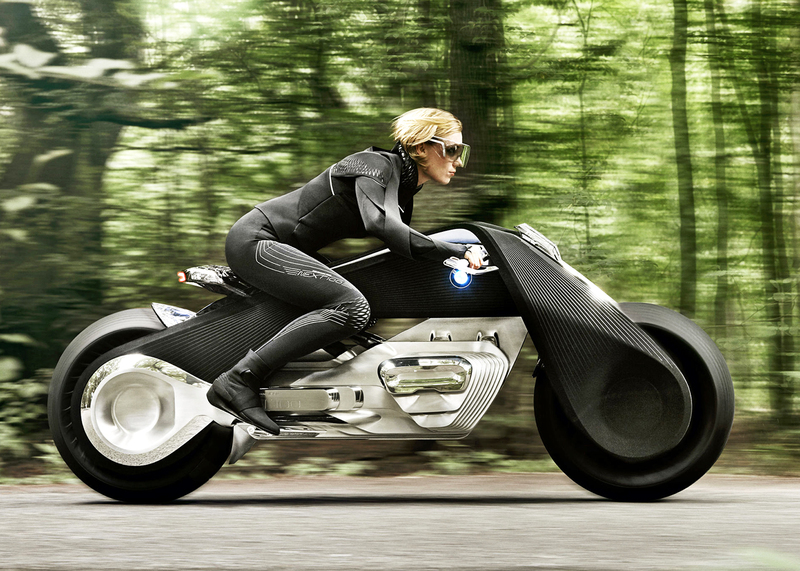 They usually ride a BMW R1200GS or a Triumph Rocket III, “the world’s largest capacity production motorcycle”, according to the Triumph website. And mouthwatering they both are too. While his shows hardly revolve around bikes in quite the same way that our previous two entries do, Gordon Ramsay is a keen biker. He owns a rare Ducati Desmosedici, and recently sparked a minor-media storm when seen test-driving a Ducati Monster 1100 in Los Angeles. 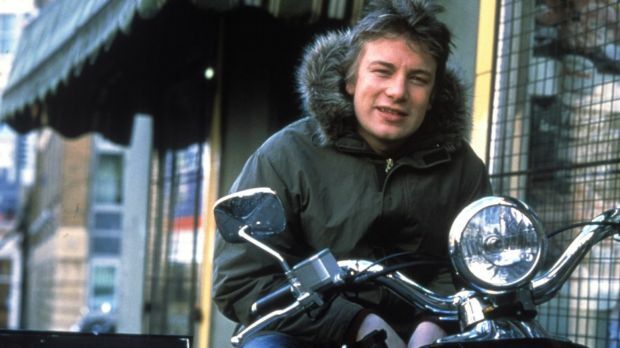 Jamie Oliver is also something of a Biker Chef… if scooters count. 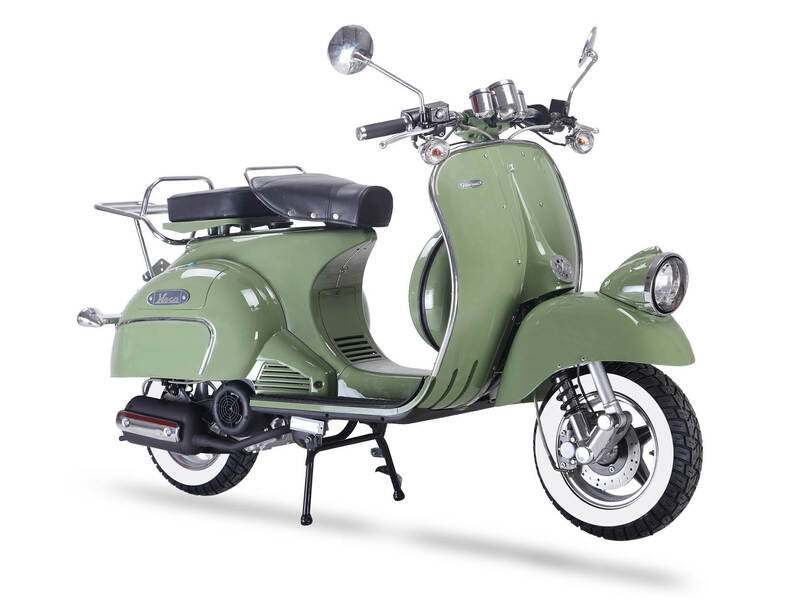 The Aprilia Mojito Custom 50 he often rode in his original Naked Chef series is a neat little thing and is a very fine starter. When Oliver auctioned it in 2003 to raise money for his Fifteen restaurant project, it sold for a staggering £44,500. 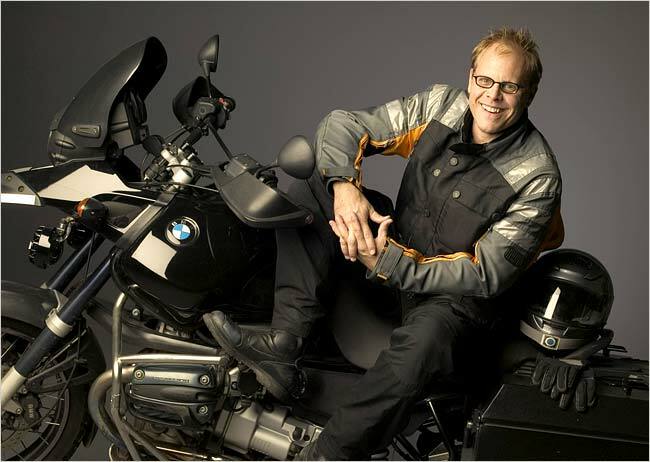 Hoping over the pond, American TV Chef Alton Brown has done an entire cooking series involving motorbikes. His popular series, Feasting on Asphalt, was all about “road food”. This term describes the food travelers will find at diners he discovered while riding a BMW R1150 RT across the vast US highway network. The series spawned a DVD but a book of the journey he made up the great Mississipi River, Feasting on Asphalt: the River Run, is more widely available. Which are your favourite classic motorcycles on TV cookery shows? 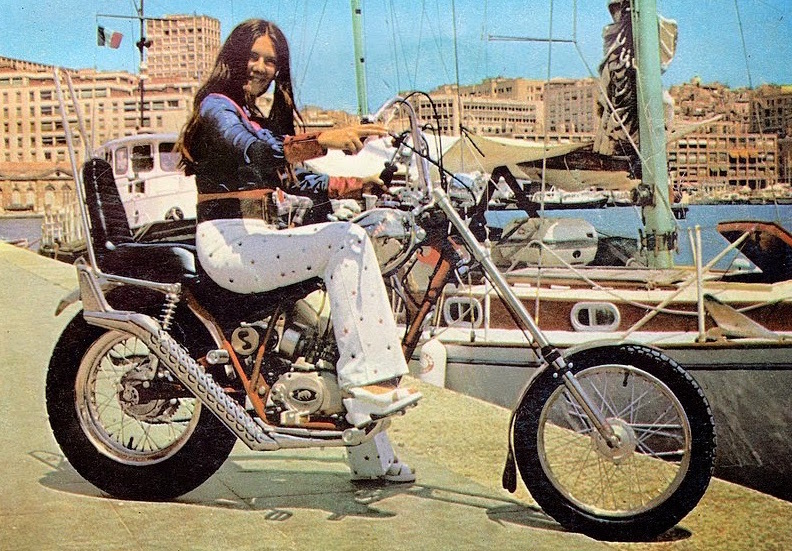 Now we have whet your appetite, can you think of any other TV chefs who love their motorbikes? 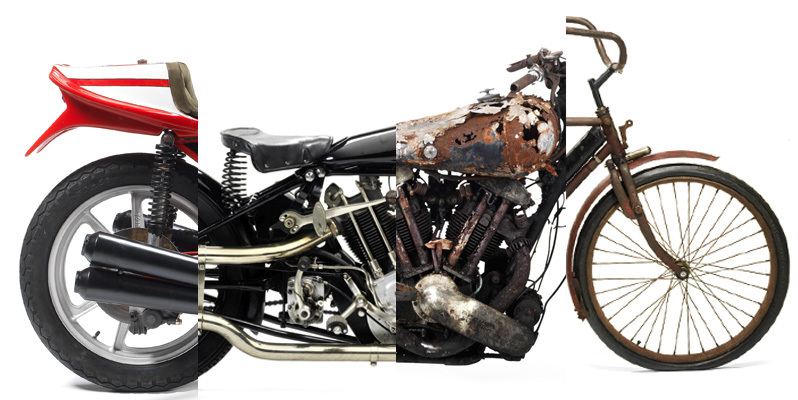 Classic Bike Insurance is available from Bikesure.